One always has good expectations from the music of a romantic film which launches new faces. The trailer of ‘Notebook’, the new film co-produced by Salman Khan that launches Zaheer Iqbal and Pranutan Bahl, left a mark with its stunning visuals but it also indicated that the two leads do not meet throughout the film. Incorporating music in such a scenario might have been a little difficult. ‘Notebook’ is also composer Vishal Mishra’s first film as a solo composer. Vishal has been giving a very good account of himself with songs like ‘Jaane De’ (‘Qareeb Qareeb Singlle’) and ‘Aye Zindagi’ (independent single) and one looks forward to see what he does here. 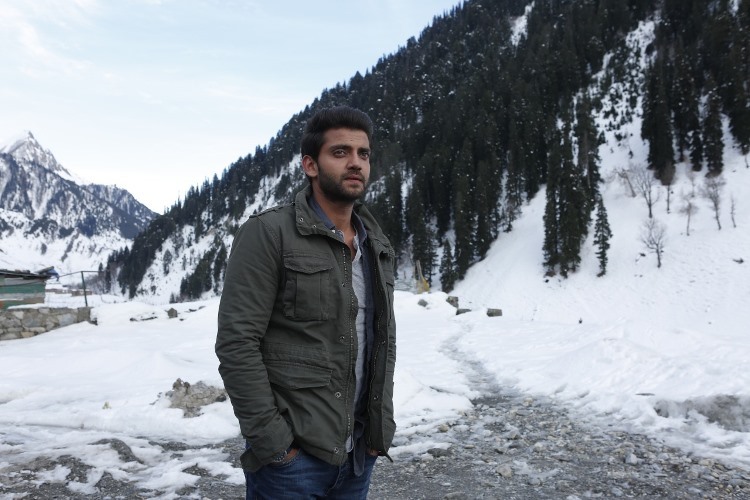 The album opens with “Safar”, a breezy track in which we see the hero travelling through the scenic landscape of Kashmir. Though Vishal has used modern orchestral arrangements, rabab, a musical instrument synonymous with Kashmir, has been used sporadically in the song. There is also a short but lovely flute piece one gets to hear. The song is in a similar space as “Ilahi” (‘Yeh Jawaani Hai Deewani’) where the character is going through a sense of self-discovery. The song has a lovely sing-along quality to it which endears you to it in no time. “Bumro”, the famous Kashmiri folk song which is also known for reimagined and used by Shankar-Ehsaan-Loy in ‘Mission Kashmir’, finds a place for itself in this album as well. Vishal has borrowed the hook-line from the original track and have created a new tune around it. The hook-line is obviously the highlight of the song but Vishal’s freshly created tune, too, weaves in seamlessly with it resulting in a wonderful sounding track. Strangely, even though two male voices are heard in the track, only Kamaal Khan is credited with the song. A sense of melancholy comes across prominently in “Nai Lagda”, a song where only these two words are in Punjabi and the rest of the song is written using Hindi and Urdu words. The tune is quite nice and the lyrics, by Akshay Tripathi, are simple and effective. The arrangements mostly consist of Indian instruments with a subtle sound of electric guitar heard intermittently. Though Vishal Mishra’s voice is heard predominantly in the song, the few lines Asees Kaur gets to sing turn out to be the best part about the track. Western symphony takes centre-stage in “Laila”, rendered by Dhvani Bhanushali. The thought behind the song (of the main protagonists being compared to Laila and Majnu) is nice and it comes across very well in the lines written Abhendra Kumar Upadhyay and Vishal Mishra. Dhvani Bhanushali modulates her voice nicely to sound a little different in certain sections of the song. However, her anglicised accent and pronunciation of a few words (‘mash-hoor’ as ‘mashoor’) is off-putting. The sound of rabab marks the arrival of “Main Taare”, one of the best songs on the soundtrack. This was the song which Atif Aslam had sung and has now been dubbed in the voice of Salman Khan. The fact that this track has not been sung by a professional singer does make one a little sad as it is a beautiful composition replete with some thoughtful lyrics (Manoj Muntashir) that definitely deserved a better singer to helm it. One just hopes they release an alternate version with another vocalist singing it. ‘Notebook’ has a contemporary sound but there are traces of the music of Kashmir too. Vishal Mishra had been doing well as a composer and here, he proves that he can carry an entire soundtrack on his shoulder very well.